This pale pink sharara set includes a knee-length straight fit kurta zari embroidery with pearl around the front placket and sleeves, paired with a pastel blue sharara with zari work. 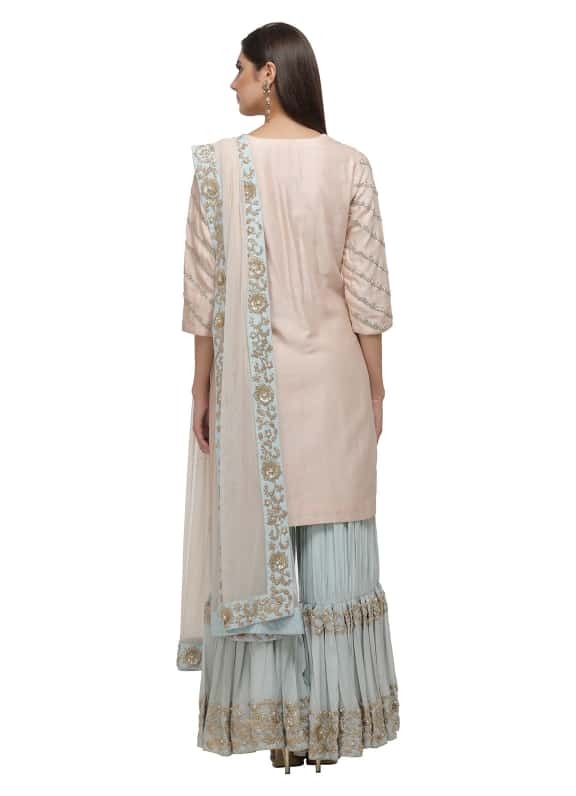 It comes with a net dupatta in pale pink with a pastel blue border adorned with intricate zari work. A fun and festive outfit for a mehendi ceremony, style this with earrings by Amethyst.